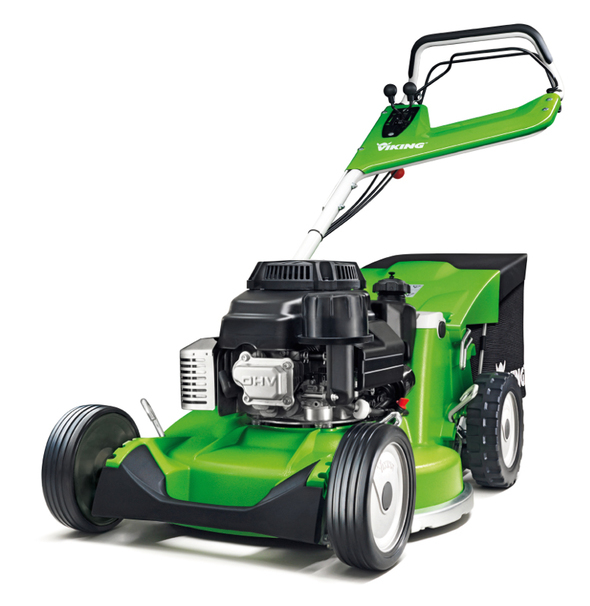 The Viking 7 Series professional lawn mowers comprise a range of machines for continuous use. Their innovative magnesium housing in combination with a plastic insert makes the lawn mowers particularly lightweight. The MB 756 YC features a mono-comfort-handlebar, providing easy access to the 80-litre grass catcher bag. The cutting height can be adjusted to six steps. Further features include powerful engines, steel side protection, solid rubber front bumpers, thick rubber tyres and metal rims.